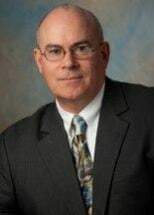 James B. Reilly is the senior associate at FKSFPC. He has extensive experience in the handling of complex medical malpractice litigation. Mr. Reilly has been involved in many high exposure cases, including numerous obstetrical cases and cases with significant neurological injuries. His focus is on the representation and defense of physicians and other medical practitioners. He has considerable experience in the preparation of physicians and other witnesses for deposition, and vigorously defending doctors at their depositions. Mr. Reilly's experience also includes conducting depositions of plaintiffs and other witnesses, meeting and preparing expert witnesses for trial, appearing in court to defend clients, and dispositive motion practice to obtain early resolution of cases. Additionally, he has had several cases against physicians dismissed on motion prior to trial. Mr. Reilly provides personalized attention to clients in the handling of all issues that may effect the outcome of the case.